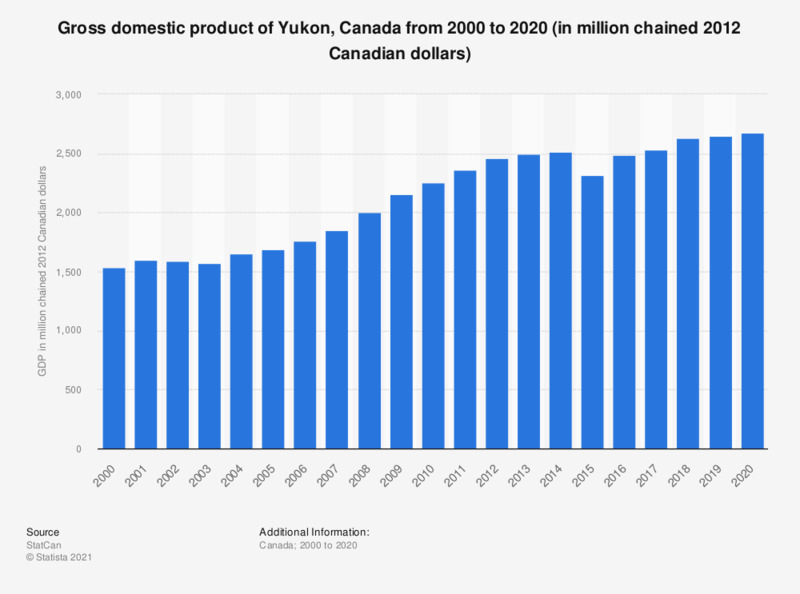 This statistic shows the gross domestic product (GDP) of Yukon from 2000 to 2017. In 2017, Yukon's GDP was 2.55 billion chained 2012 Canadian dollars. Gross domestic product at market prices. Everything On "Yukon" in One Document: Edited and Divided into Handy Chapters. Including Detailed References.